Want it by Wednesday 24th April? Order within 4 days, 12 hours, 24 minutes and choose Royal Mail Tracked 24 Hour at checkout. 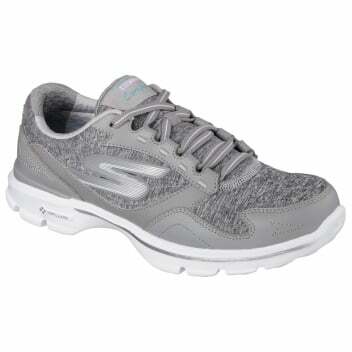 Skechers have become a byword for the athletic walking shoe with their Go Walk range, and this shoe represents the next stage in the shoe's evolution. Constructed from lightweight leather and knitted jersey, with high rebound cushioning, this shoe is definitely a step up from an ordinary trainer for walking.